Emotional and psychological issues can have a significant bearing on your quality of life. 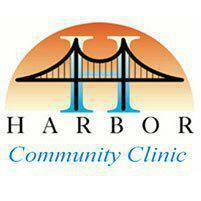 Harbor Community Clinic offers compassionate psychotherapy to help patients from San Pedro, CA and the surrounding Los Angeles and South Bay areas resolve anxiety, depression and other issues for happier, more fulfilling lives. Psychotherapy is a broad term that includes several different types of therapy used to treat mental health issues, like depression, anxiety, anger issues, post-traumatic stress disorder and other issues that can have an impact on your quality of life. Two of the most popular psychotherapy techniques and approaches are cognitive behavioral therapy, which helps you learn new behaviors, and psychoanalytical therapy, sometimes called “talk” therapy. Most patients respond to a combination of treatments to help them overcome the issues they're facing. People in the mental health field are trained in a variety of approaches to psychotherapy so they can provide patients with advice based specifically on their needs and the problems they're dealing with. That's not a problem. At Harbor Community Clinic's Counseling Resource Center, we provide psychotherapy at low cost or even no cost so patients can get the care they need for their mental health issues. Treatment will begin with a medical history and a review of the concerns that are troubling you. During each session, you'll work together with your therapist to identify negative thought patterns and behaviors and learn strategies to change those behaviors and thoughts so you can learn to overcome your issues over time. What kinds of issues does psychotherapy treat? It can also be used as a part of anger management therapy and to help overcome substance abuse issues. In addition to helping to manage chronic mental health issues, psychotherapy can play an important role in managing day-to-day issues that arise at school, at work, at home or in your social and personal relationships.